These are almost effortless ways to gently boil an egg. Poached eggs have a bad reputation. 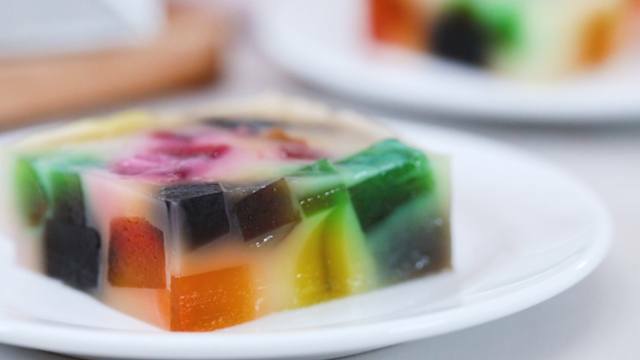 It’s commonly associated with eggs Benedict and that in itself seems to mean that it’s a complicated and hard-to-do dish.  While the dish itself may involve more steps than you’re willing to exert any time of the day, you can easily enjoy a poached egg every day if you know a few tips and tricks. All it takes is a few steps and lots of practice! A poached egg is really nothing more than a boiled egg but instead of cooking it in its shell, it’s cooked in water. The water is at a gentle simmer, so the egg itself is also gently cooked which is why it’s usually of a soft-boiled-egg consistency. The oozing egg yolk (pasteurized by the hot water) is what people love in these poached eggs. The traditional process to do this, however, is a little technical. Once the water simmers, you need to stir the water to create a tiny whirlpool before plopping in the egg. The whirlwind action is what ensures that the egg whites wrap around the egg yolk seemingly protecting it from the water. Once cooked to the desired doneness, scoop it out with a slotted spoon and breakfast is served. 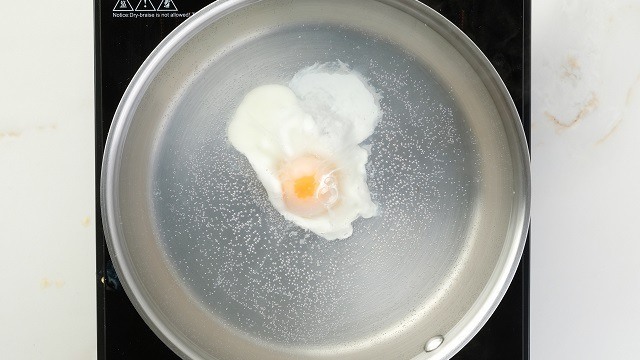 This is a great method to master—if you’re seeking to impress company—but for everyday breakfast meals when you’re seeking to serve something healthier than a fried egg and faster to cook than a hardboiled one, poaching is the way to cook your eggs. If you're worried it's going to be complicated, we have good news: you don’t need to do any of those fancy technical methods to poach an egg. 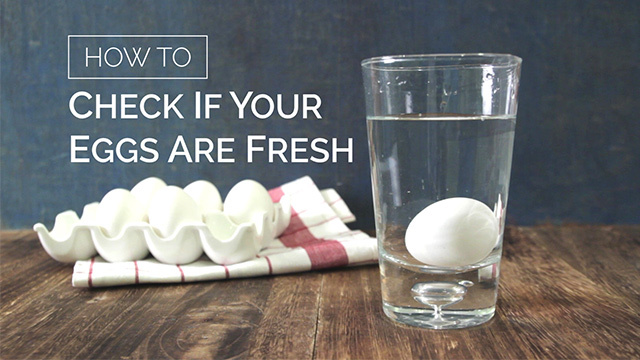 The most technical part of the easy way of poaching the eggs is knowing if your egg is the freshest it can be. For poaching, only the freshest eggs will do because it’s these eggs whose whites are still firmly attached to the yolk which is what you need to create perfectly poached eggs. You’ll know how fresh your egg is just by its looks: the yolk should be a tight ball and rise high above the similarly tight whites, even in a bowl. If the yolk lies flat and the whites are more liquid than solid, these are the eggs best suited for omelets or scrambled eggs. The vinegar is going to help cook the whites before it can spread out too much. Heat enough water to fill the frying pan over medium heat. 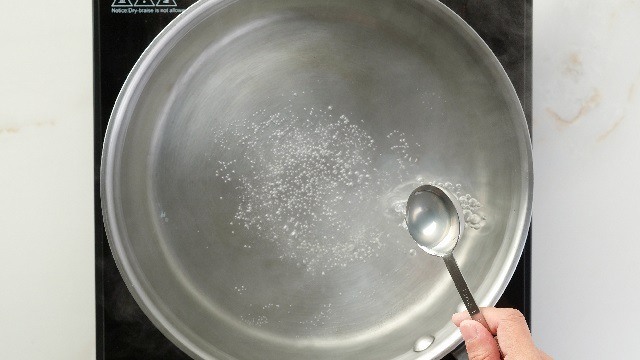 Once about to simmer (you’ll see wisps of steam begin to rise from the water), low the heat to a medium low heat. Add and stir in 2 tablespoons vinegar into the water. Place the egg gently in the simmering water. Meanwhile, break an egg into a small bowl. Place the egg into the gently simmering water. (You can even lay the edge of the bowl against the surface of the pan before tipping the egg into the water.) Let cook about 3 minutes or when the whites have solidified and become opaque or to your desired doneness. Use a slotted spoon to gently lift the egg out of the water, and serve while hot on toasted bread, ham, and a sprinkling of salt and pepper. 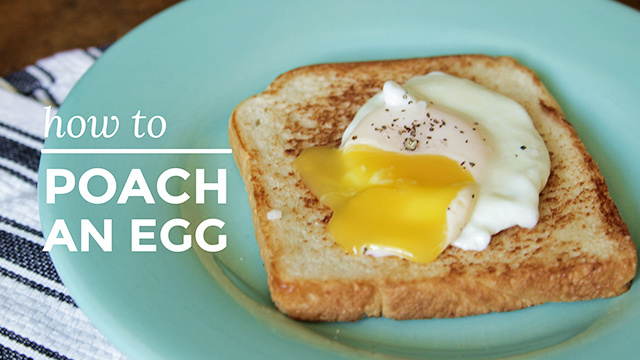 Yes, you can poach an egg in the microwave! 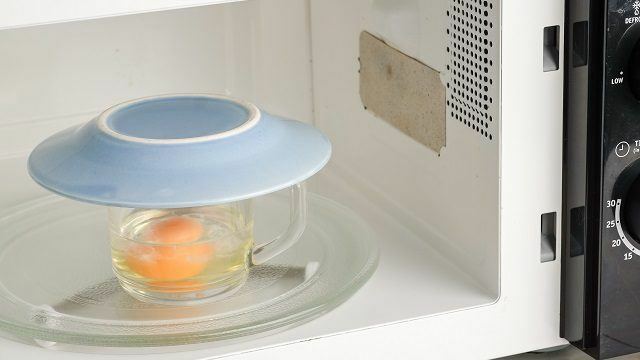 Yes, you can microwave an egg, if you don't let it cook for too long. 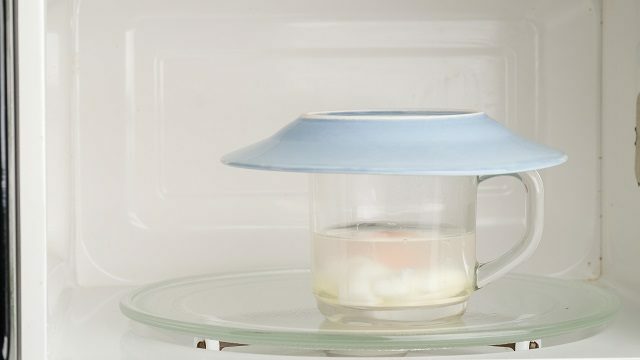 Break an egg into a microwave-safe mug or bowl. Gently add enough water to cover the egg. Cover the bowl or mug with a small saucer, and place in the microwave. Heat the egg for 20 seconds then check your egg. An easy poached egg cooked in the microwave is easy. The egg should have just begun to cook. Cook the egg in 5-second intervals until cooked to the desired doneness. 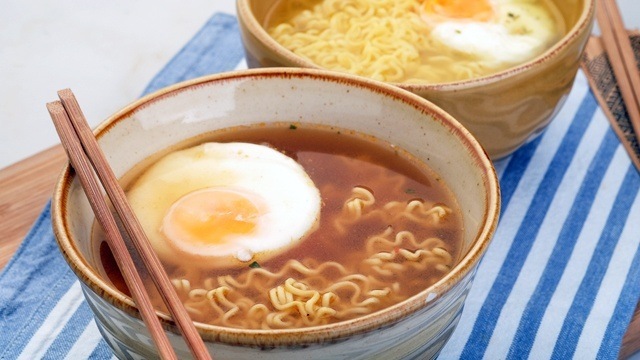 Remove from the bowl or mug, and serve while hot in ramen or slipped into your favorite soup. 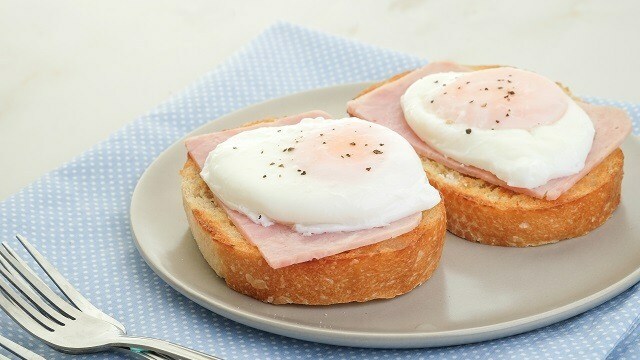 You can make poached eggs for a crowd! 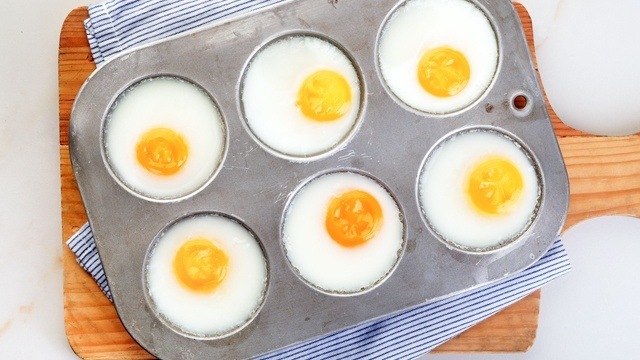 Use medium-sized eggs for a perfect fit. Preheat oven to 350 degrees F/10 degrees C. Lightly oil a six-cup cupcake pan. 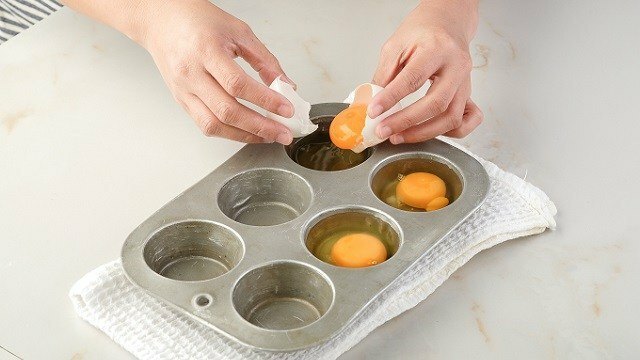 (This prevents the eggs from sticking and makes releasing the cooked eggs from the cups easier.) Crack an egg into each of the cups. Fill each cup with enough water to reach the tops. Bake in the oven for about 10 minutes before checking the eggs' doneness. (The whites should be set, the yolk in the centers still soft and jiggles when the pan is lightly shaken.) Bake for another 5 minutes or until desired doneness is achieved. Remove from the oven, scoop each egg out the cups, and serve while hot. Poached eggs need not be associated with only a fancy breakfast. If you love your eggs gently cooked, poaching is the best way to achieve that. Try one (or all!) 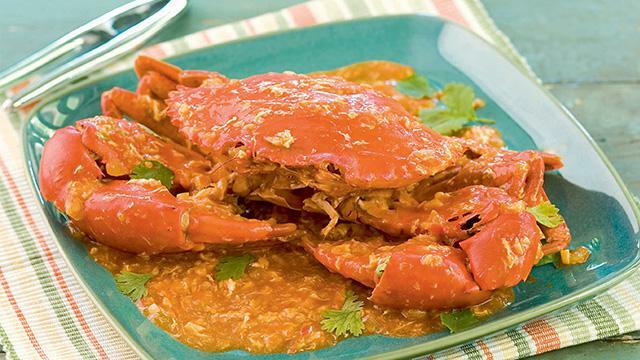 of these methods out and find out which is the poaching system you are most comfortable using. 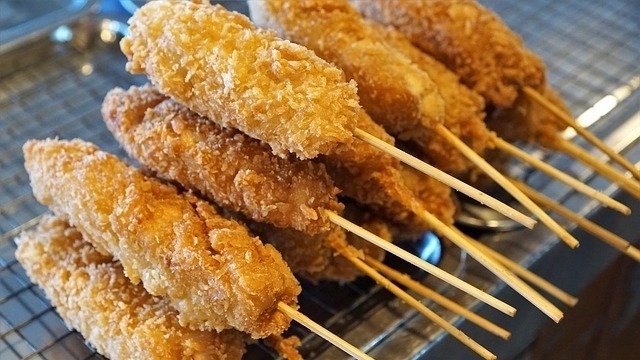 Top with fried garlic for a punch of extra flavors! Cooking tip: Strain the ground beef after sautéeing to remove most of the fat.